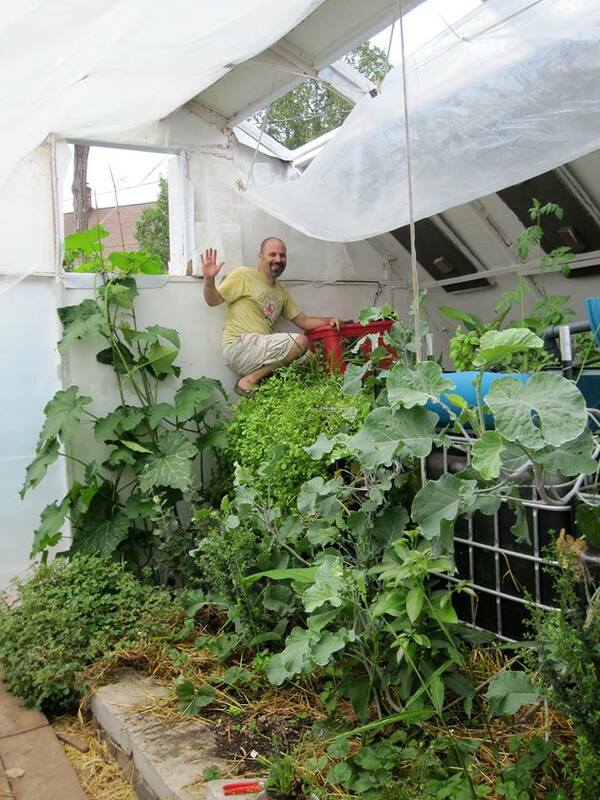 There I am, happy as a clam, in the now three year old bioshelter (this picture happens to be from the first year, the food is so dense you wouldn’t be able to see me now). The Jonathan in that picture, isn’t the same Jonathan that is writing this article. For the past fifteen months I’ve cut added sugar out of my life. That’s right, I haven’t gotten an ice cream cone, eaten corn flakes, drank orange juice or soda of any kind. In the last few months I’ve also stopped drinking milk, and mellowed my fruit intake. Oh, and alcoholic beverages are out too. Fast forward to today… The food industry caught on to this universal brain message, that all humans have, and realized there was money to be made… Now it is almost impossible to find “food” in the supermarket or restaurant that doesn’t have added sugar. So, why is this bad? Well, the natural sugars found in whole foods are fine in moderation, whole fruit for example… But, when we eat to much sugar, apparently we get cancer, heart disease, diabetes, and dementia. My point is, that this new information adds even more evidence to why growing home gardens, and supporting local whole food growers are revolutionary acts for ourselves and the future health of our communities. We can’t stop there. We need to be vocal in our communities, helping others to gain this knowledge. We even need to be active in our local political system, working to improve laws. Laws that encourage whole systems farming and that discourage bad food in schools for example. For us, the bioshelter has extended the season, providing fresh greens all winter. And we teach other’s about how we do it. A direct F^#K you to the life destroying food industry. This entry was posted in 1b. Introduction to bioshelter project, 3. Winter Conditions, 8. Bioshelter Plants by Jonathan Bates. Bookmark the permalink. Great that you not only spread this important information but also that you can point to your own experience to back it up. There’s some important research on the health (including mental health) impacts of fermentable sugars (FODMAPs) in our diet that is now being taken up by dietitians, particularly but not only those dealing with irritable bowel syndrome.